FLYER 23 SUNDECK The Flyer 23 SUNdeck exceeds regular day boat standards by combining comfort, generous space and sensations. 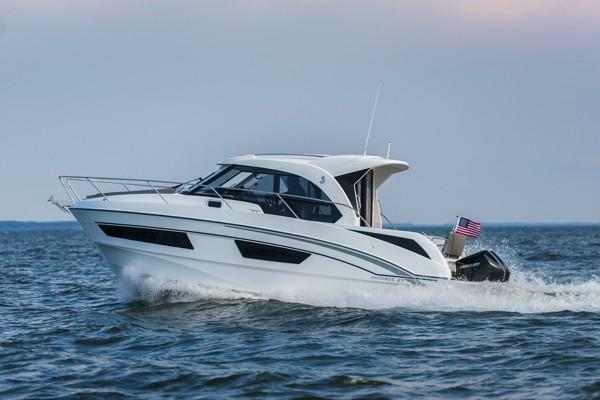 Its highly optimized design makes it the ideal boat for a weekend getaway. A decent-sized cabin lies beneath a large sunbathing area for lazing in the sun. 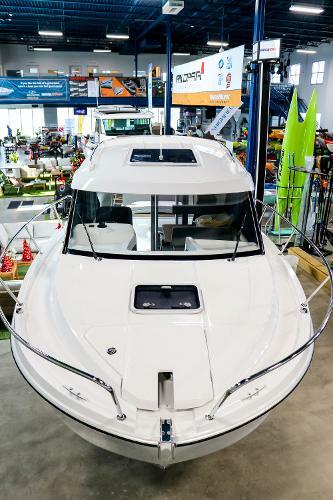 EXTERIOR DESIGN The Flyer 23 SUNdeck has the aesthetics of a modern classic, with taut yet attractive lines, complete with black pulpits. 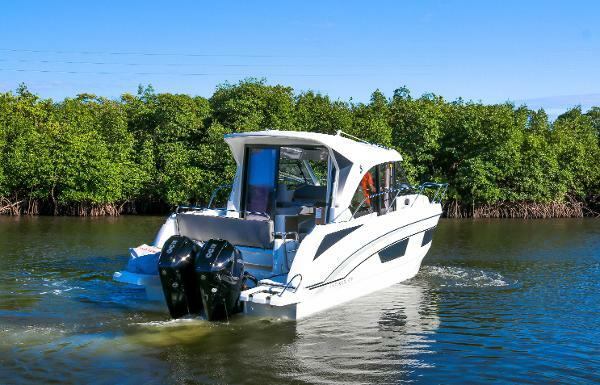 Developed on the latest generation of outboard hulls equipped with Air Step 2, the boat lifts off quickly and offers outstanding cruising comfort. The aft bench seat is easy to fold back, providing optimum cockpit space. There are also lots of ergonomic storage spaces spread throughout the boat. INTERIOR DESIGN The Flyer 23 SUNdeck is astonishingly comfortable inside. The double-berth cabin has incredible headroom for a boat this size. The boat also has a separate head and a small galley. NIGHT & DAY BOAT Certified to carry 10 people, the quality of the Flyer 23 SUNdeck’s fittings and its finishes make a big impact. Open to a wide variety of programmes, it would be hard not to spend a few more days enjoying the pleasures of the sea. 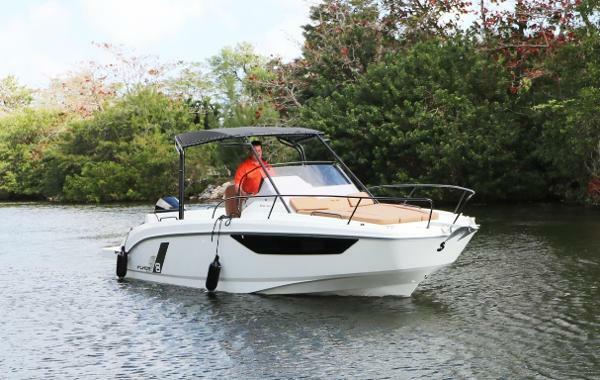 Available in Store: Fort Lauderdale Barracuda, the ultimate boat for comfortable adventures at sea. 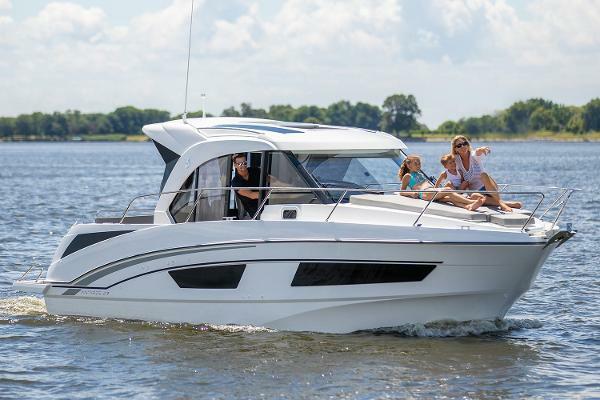 The Barracuda 27 hull cuts comfortably through the sea, combining fuel savings with high performance. 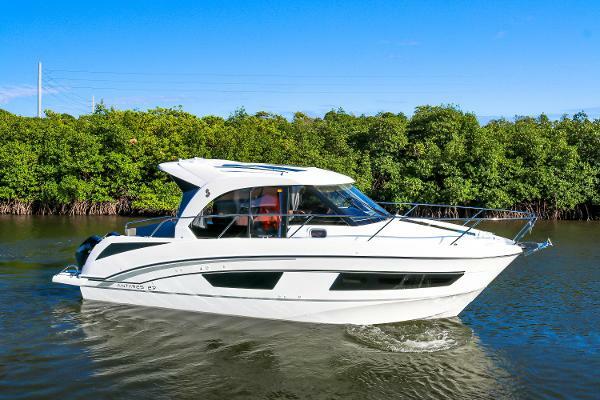 The ergonomics of the Barracuda 27 have been designed to make movements on board easier, with an open, modular cockpit, large walkways, large glass door to the rear, side doors and access gate. On the closed lower deck, two double berths and an independent shower room mean you can spend the night at sea. For those whose love of the water includes many different expressions, our Barracuda outboard powerboat is the SUV of the sea. 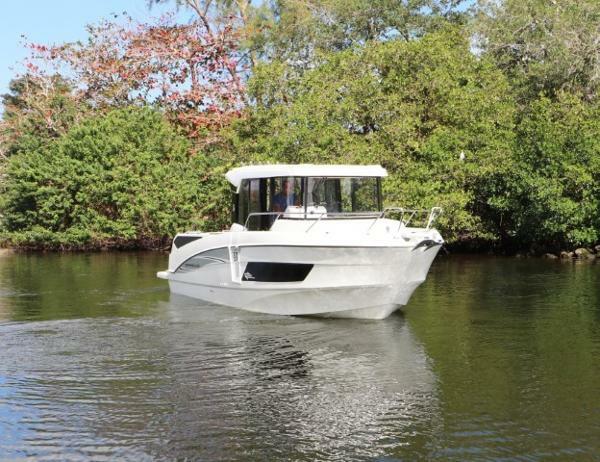 From fishing to diving to cruising, she has been designed, built and tested to be on a first name basis with all waters, even in their foulest moods. She's as indispensable as a lucky rod and reel or a high-quality scuba mask. There's an apex predator out there—the Barracuda—and she's hungry for adventure. 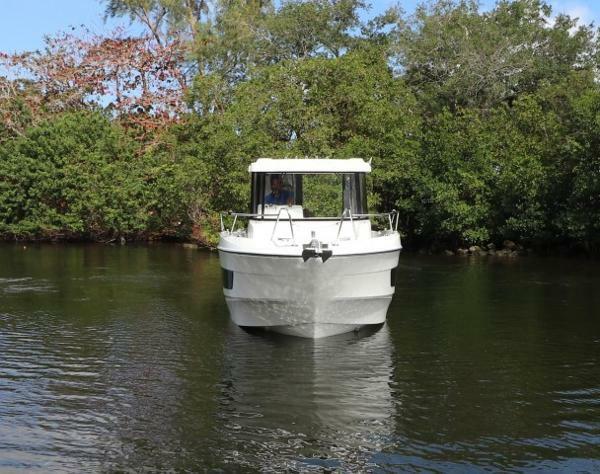 Available in Store: Fort Lauderdale The Antares 23 is an ideal coastal cruiser for some much needed R&R or for pushing your horizons. Her unique hull can easily conquer rough seas, while providing comfort and confidence to captain and crew. She comes with a 200hp Mercury outboard so there is plenty of power on tap. Inside, she features a 360º view of the sea thanks to large windows that encircle her stylish wheelhouse and galley. A modular layout also makes this space flexible enough to accommodate plenty of guests when the weather turns moody. It can even be easily converted into a comfortable double berth for longer excursions. Forward, she features a real cabin with a real bed as well as a separate shower and head. 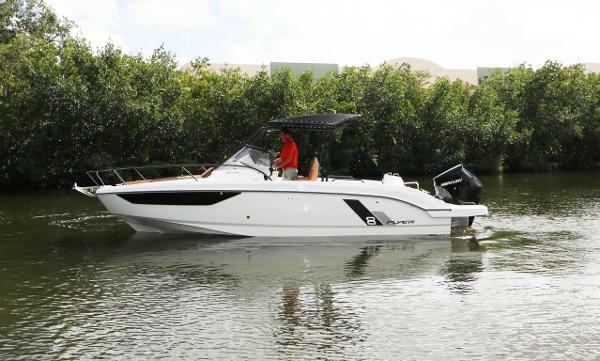 Available in Store: Fort Lauderdale The Ultimate Weekend Cruiser for Your Ultimate Weekend. 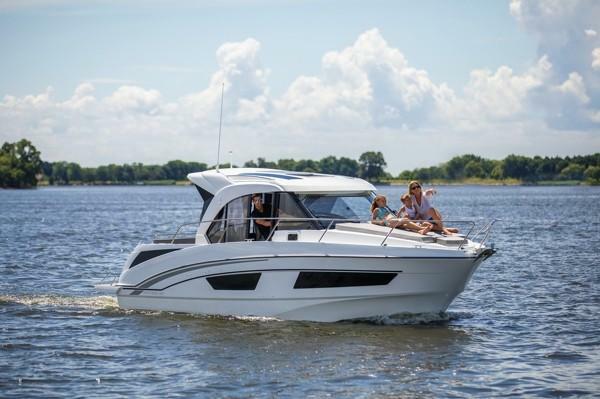 The Antares 27 features our Airstep® hull that tackles the waves with ease while providing superior comfort and safe navigation. 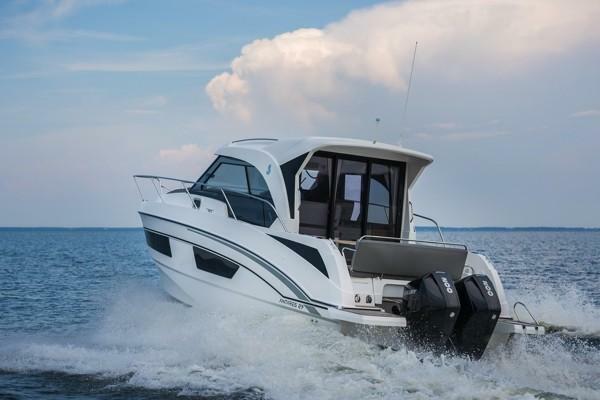 She sports two 200hp Mercury outboards that complement world-class seakeeping with plenty of power. Her spacious cockpit easily converts from bench seating, perfect for relaxing with friends, to a vast sunbathing area. Her wheelhouse with its panoramic view of the water exudes a feeling of openness and natural light. A galley with an optional stove and refrigerator makes preparing meals more of a joy and less of a chore. She comes with two cabins, a separate shower with head and plenty of storage. Fully fitted out, she offers the ultimate in cruising. 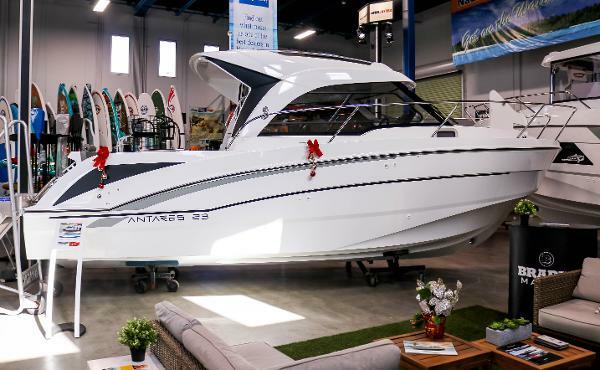 ANTARES 27 The ultimate weekender! 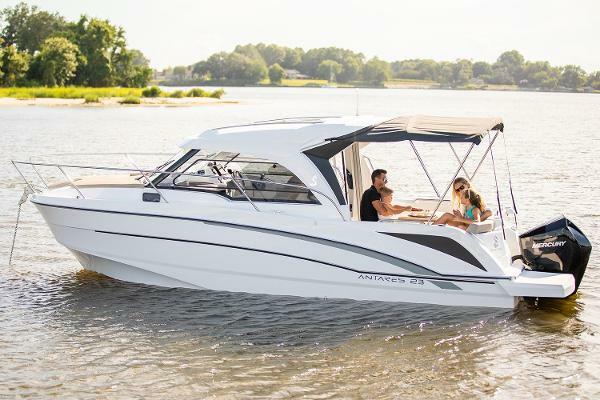 With an innate sense of detail and comfort, the Antares 27 is an invitation to spend more time at sea. Modern and stylish, she preserves the traditional elegance of a established range. 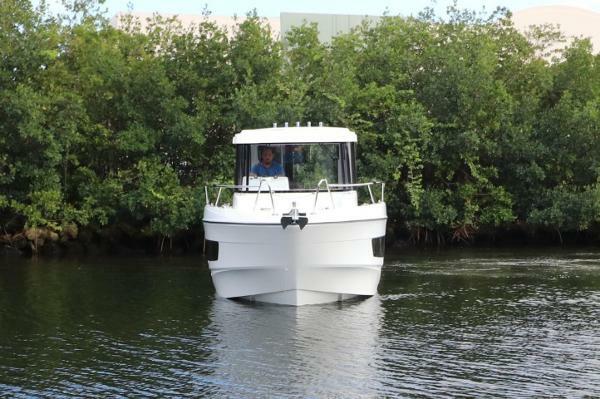 Autonomy, habitability, panache – she has everything to make short cruising a great experience.